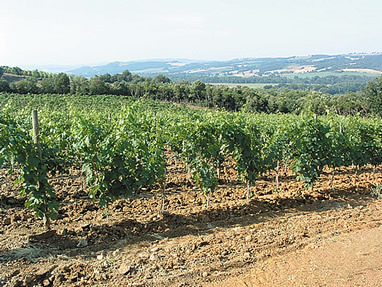 The 2006 vintage in the Tuscan hilltop town and surrounding vineyards of Montalcino, has provided us with some of the best Brunello to wind up in bottle since the excellent 1997 vintage. Over the past several months, I’ve been fortunate enough to taste several of the 2006 Brunello di Montalcino as they are released to market. For the first time in a decade, the prices of these wines are compelling. Market forces, the general economy, and the increase of available wine, have benefitted wine drinkers. This is a vintage not to be missed! As I taste through more of these, I’ll add more notes. In the meantime, enjoy these and do yourself a favor and try some of the 2006 Brunello. If you can’t find 2006’s yet, the 2004’s are not far behind in quality and many retailers still have tons of them sitting on shelves. I had never tried this wine before in any vintage, but after seeing all the positive reviews on the 2004, when I came across this, I had to try one. Dark vibrant violet to ruby color. The nose is expressive with abundant red fruits, slight fresh herbs and sweet pipe tobacco. On the palate, the wine packs in the sweet ripe red fruits, with a laser like core of acidity and lots of ripe, dusty tannins. With food, it was good but on its own, it became very, very chewy. Mouth puckering. 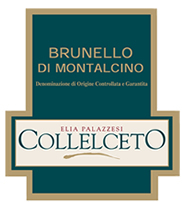 This was a wonderful young Brunello and get this…$28 on sale. No discount issues, no fuss. Are you kidding me? There are lots of Rossos in my area selling for close to that. I’m not sure how this will evolve, but it’s worth drinking these over the next 5 years and letting other Brunello slumber in the cellar. Ridiculous how good this was for the money. Approx 91-94 points. Have been a fan of their single vineyard Le Lucere, but never tried their normal estate bottling until now. Again, I broke down given the price, $31. At some time, you need data points to make purchasing decisions. In the glass, the wine is medium ruby, with that typical of Brunello copper colored rim. The nose is full of dusty berries, tobacco and herbs. Classic nose, but primary. On the palate, the wine is juicy and somewhat monolithic at this point – medium to full bodied with pretty substantial tannins which is not surprising. Good acids and decent length. It was not decanted, but toward the end of the dinner, this seemed to be rounding out and plumping up a bit. Solid Brunello. The Le Lucere should be fine indeed. Approx 89-91 points. From a tiny 14 acre estate that I recently heard some very good, insider reports on. Seems the reports were accurate. Very accurate. ﻿﻿﻿﻿﻿﻿Gorgeous deep ruby color, with slight iodine at the rim. Typical, classic brunello color. Lovely aromas of seamless fruit, leather, slight earth, floral, spice. In the mouth the fruit is juicy fresh, wonderfully ripe with moderate tannins and pleasant acidity. An excellent Brunello and at the price ($38) this is one to stock up on. Solid value. Approx 92-95 points. First impression was not a good one, as this was light in color, with seemingly no extraction. You could see right through the wine – it’s light ruby red with an orange hue to the rim. On the nose, there’s fruit, and spice, but little else. In the mouth the wine is pleasant, with decent acidity, medium bodied, and fairly simple. I can’t get excited about this at all. Even at $33 it hardly seems worth it. Reminds me more of a Rosso or a Vino Nobile than a good Brunello from an excellent vintage. The Mocali and San Filippo were much better. This is a pass for me. With Italian style meat loaf, broccoli and garlic bread. I’m not sure what happened here. Caparzo should do better than this in 2006. Approx 86-89 points. This is a testimony to the excellence of this vintage. I’ve never been a Mocali fan, but the price of this wine ($26) was too compelling not to try it. It’s a solid Brunello, but it does leave me with the overall feeling that in a weaker vintage, this would be destined for Rosso di Montalcino. It’s just a touch simple. It’s a vibrant, medium ruby in the glass with generous primary aromas of cherries and berries. It’s focused on the palate with a core of zippy acidity that keeps things fresh. Medium bodied, with mid-weight tannins. This is a solid wine, but one to drink sooner rather than later. 90 points. Wild thing! Decadent and rich. You get excited just looking at this thing in the glass. It’s deep, blackish purple. Opaque. The nose is enticing, and slightly gamy without being overdone. There’s abundant berry, but it’s accented with earth, mushroom, and animal notes. I love it – but it’s not going to be everyone’s cup of tea. The palate is full and concentrated. Loads of crushed berries, spice and new suede. This is an excellent wine and I think it will benefit from a bit of cellar time. 95 points.